BEIJING - Chinese President Xi Jinping's maiden visit to Southeast Asia in October is significant to further deepen China-Indonesia, China-Malaysia relations as well as ties between China and the Association of Southeast Asian Nations (ASEAN), vice Foreign Minister Liu Zhenmin said on Sunday. 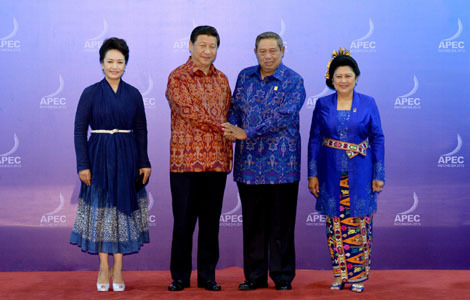 Liu made the remarks at a press briefing about Xi's state visits to Indonesia, Malaysia and his attendance of the 21st leaders' meeting of the Asia-Pacific Economic Cooperation (APEC) in Indonesia's Bali from October 2 to 8. Xi's visit will further consolidate neighborly relationship with the two countries, promote all round cooperation and outline future ties, Liu said. During his stay in Indonesia, Xi will hold talks with President Susilo Bambang Yudhoyono and attend a luncheon of the business community, and meet with vice President Boediono and parliamentary leaders, Liu said. Xi will deliver a speech at Indonesia's House of Representatives and elaborate on China's vision to promote bilateral ties and China-ASEAN relations as well as China's peaceful development, Liu said. 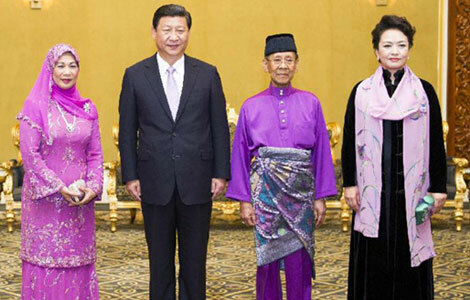 In Malaysia, Xi will meet with Supreme Head of State Abdul Halim Mu'adzam Shah and hold talks with Prime Minister Najib Razak and attend high-level forum of economic cooperation, Liu said. China will sign a series of documents on cooperation in trade, aerospace, science and fishery with Indonesia and Malaysia, according to Liu. As important members of ASEAN, both Indonesia and Malaysia have played an important role in China-ASEAN relations, Liu said. 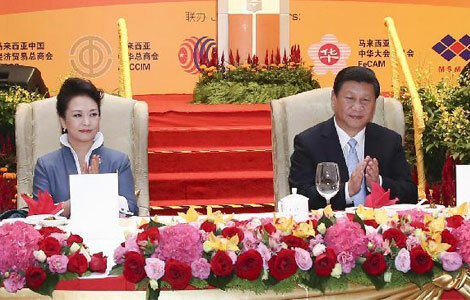 "President Xi will have an in-depth exchange with leaders of the two countries on furthering the China-ASEAN relations and other major regional and international issues." 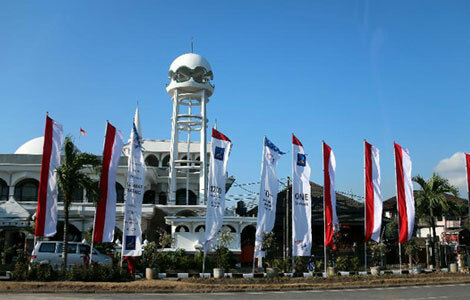 Trade volume reached $66 billion in 2012, with China becoming Indonesia's second largest trade partner. China and Indonesia have maintained close communication and coordination in regional and international affairs and worked to safeguard the interests of developing countries, Liu said. 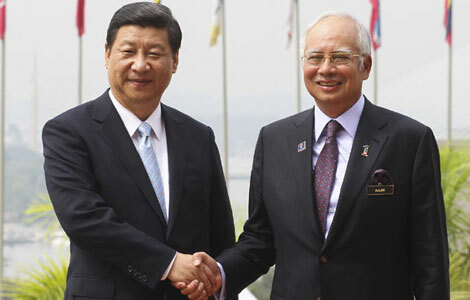 He said China and Malaysia garnered $94.8 billion in 2012, with China being the biggest trade partner of Malaysia for four consecutive years and Malaysia being the biggest trade partner of China in ASEAN for the past five years. Qinzhou industrial park in China and Kuantan industrial park in Malaysia have made important progress, setting a precedent for China and friendly countries to launch industrial parks, Liu noted. The past decade of China-ASEAN cooperation has witnessed a remarkable increase in bilateral trade, which surged from $54.77 billion in 2002 to $400.1 billion in 2012, an annual growth rate of 22 percent.